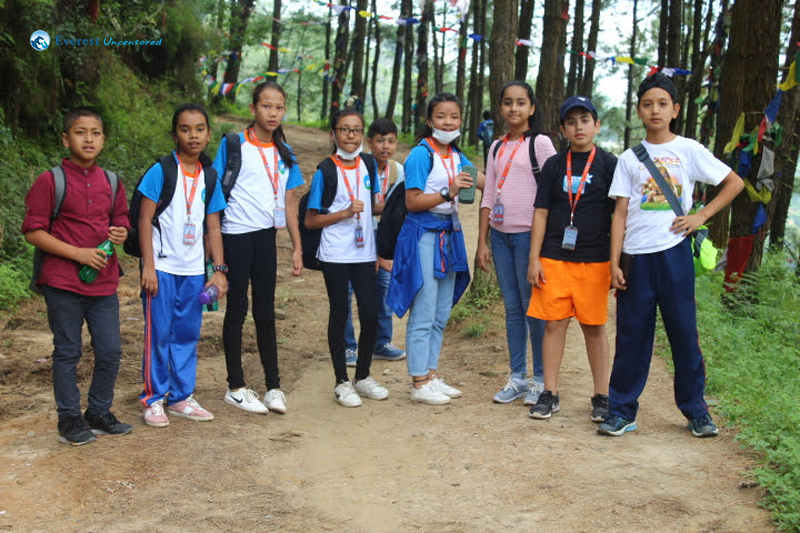 Aarav B.C., Aarya Shrestha, Aayaz Shrestha, Albert Thapa, Amita Shrestha, Angel Dhimal, Anushka Basnet, Bipan Kumal, Bipana Shresth, Bipana Subedi, Ishita Arjel, Jiya Sapkota, Joya Shrestha, Keshu Bade, Kritima Tripathee, Kuldeep Kumar Gupta, Kushal Bhujel, Krituka Sapkota, Muskan Singh, Nava Dangol, Niharika Chapagain, Nirmal Kumar Paudel, Nishan Sangat, Nishan Shrestha, Ocean Subedi, Pasang Sherpa, Parina Sharma, Prachin Silwal, Prajwal Tamang, Prakarsha Tabdar, Pranjal Khatiwada, Prasanna Shrestha, Pratik Shakya, Remon Sangat, Remoon Gorkhali, Rijan Basnet, Roma Sharma, Saish Pudasaini, Saisha Neupane, Samip Aryal, Samir Khadgi, Samrat Bhattarai, Shuban Pradhan, Shirsh Rajbhandari, Shubham Shrestha, Simone Shree Pathak, Smriti Lama, Sohana Ale Magar, Sulav Maharjan, and Yunil Ghimire. 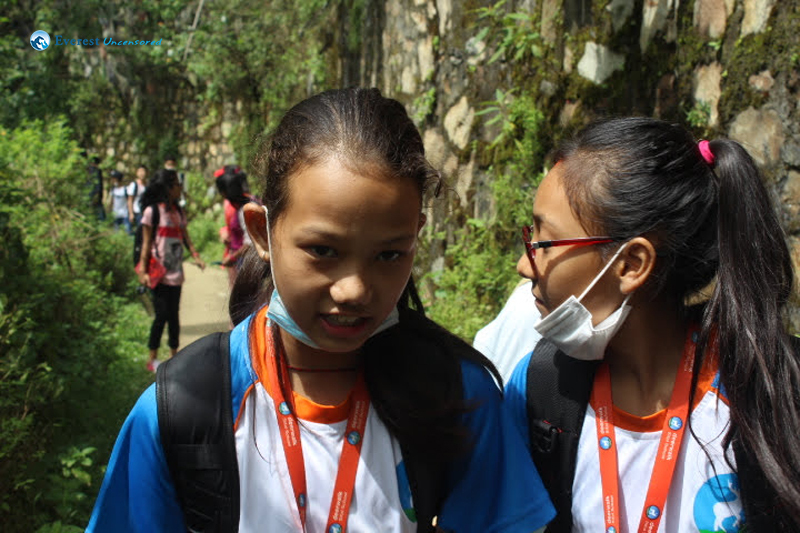 On 31st of Bhadra, the last Sunday of the month, we, grade 6 and 7 students, went hiking. The route was from Kapan Gumba to Gokarna through Jagdol and Fulari Gomba. First of all, I would like to thank my school and my teachers for organizing such a wonderful program. At night before hiking I had dreamt that I would be going to be lost in the hiking. I did not tell anyone about my dream. In the morning, I got fresh, ate breakfast and prepared for the hiking. At 8:25 AM, the school van came up to pick me up to school. In school all my friends had already gathered. 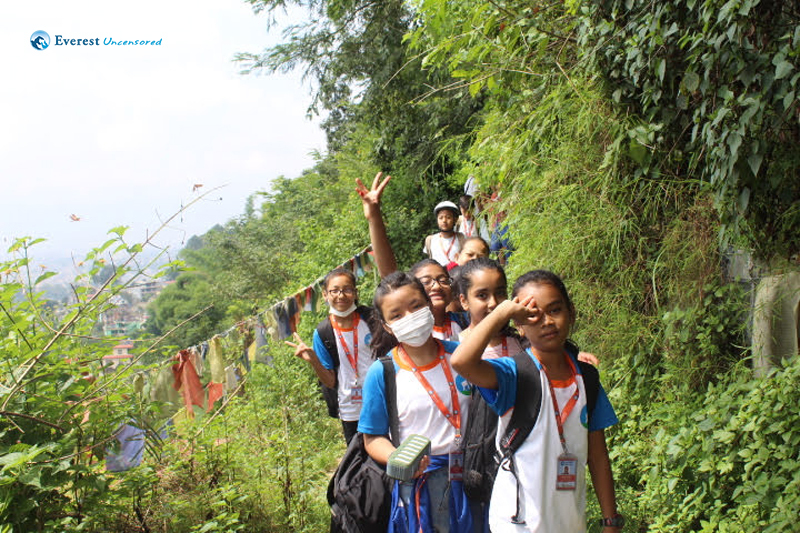 At 9:45 AM, a school bus came to pick us to the Kapan Gumba. In the bus we sang songs, watched movies and danced as well. 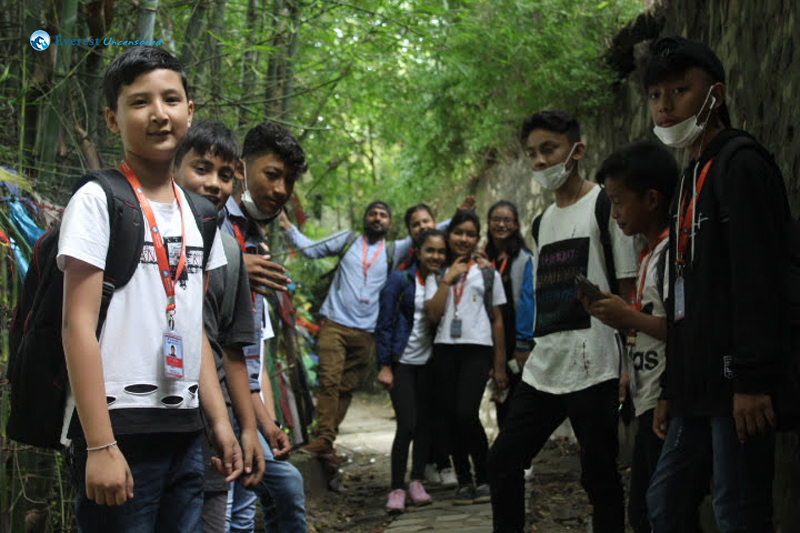 We spent some time at Kapan Gumba, taking pictures. 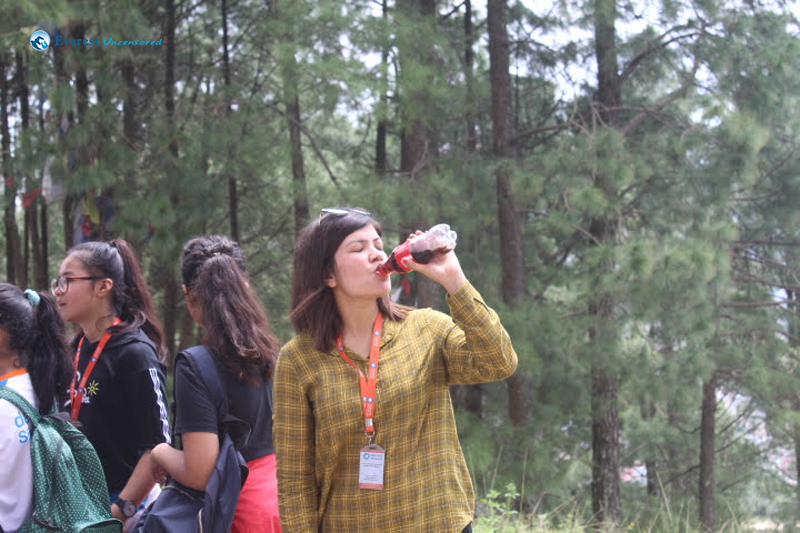 We started hiking from Kapan Gumba. 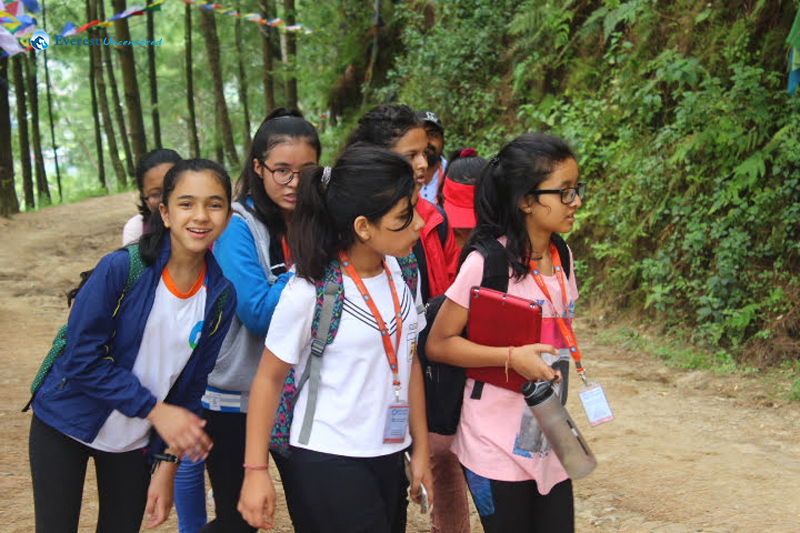 Along the way, Angel, Smriti, Krituka, Sohana, Amita and I walked in a group. We listened to music in a speaker while we walked and we danced as well. We also took photos along the way. 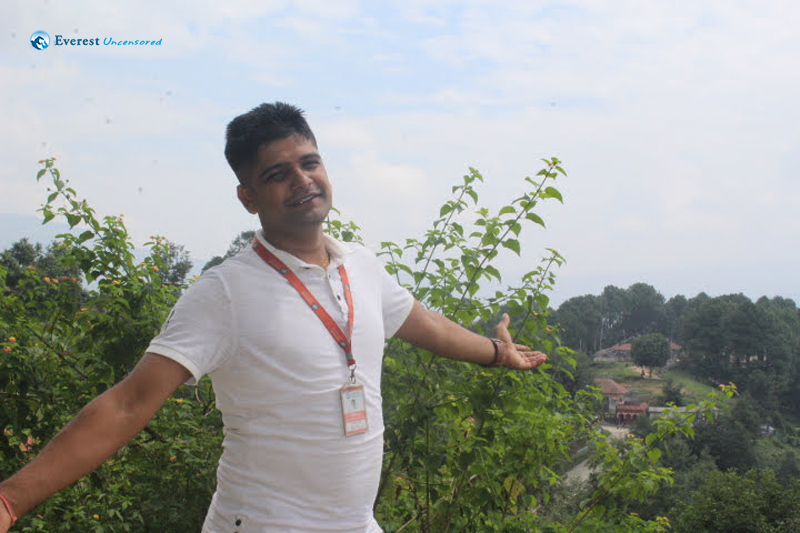 From Kapan Gumba we reached Jagdol within half an hour. We had our snacks in the garden area of Jagdol. I knew Angel and Sohana secretly took my ID card to tease me. After we finished our snacks we went to see the green hills around. We could see the airport from the there. There we also had opportunities to buy cotton candy. Then we walked down to Fulari Gumba. Along the way, there were taps and we drank water from the taps. The water was cold enough. While going down, we sang songs and danced in lollipop songs. We clicked pictures as well. We even took rests along the way. 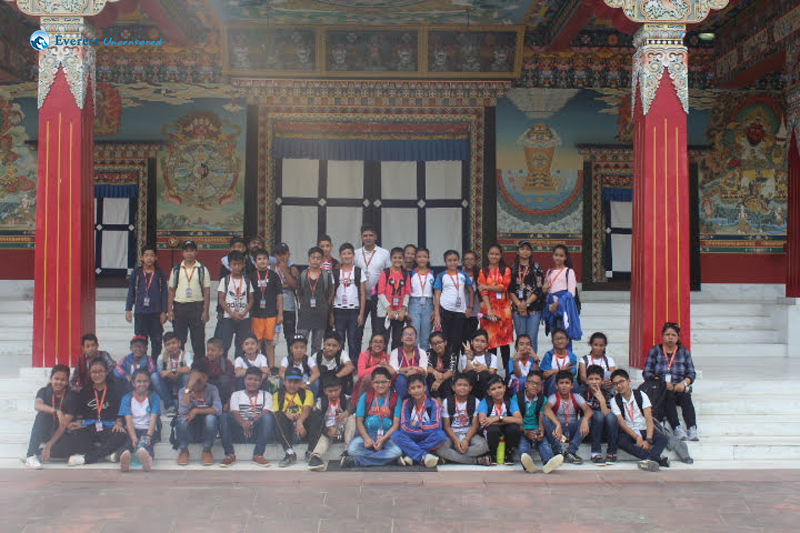 As we reached Fulari Gumba, we took a group picture in front of the Gumba. We listened to their rules before entering Fulari Gumba. Gumba was big and so awesome. There was also a garden in the Gumba. After having spent quality time, we headed towards Gokarna, our final destination. While returning, Sohana teased me by telling ‘Saisha ko ID card ko Sanga hola’. I just ignored her and started to walk fast. The trip appeared to be long. The road was muddy and slippery. 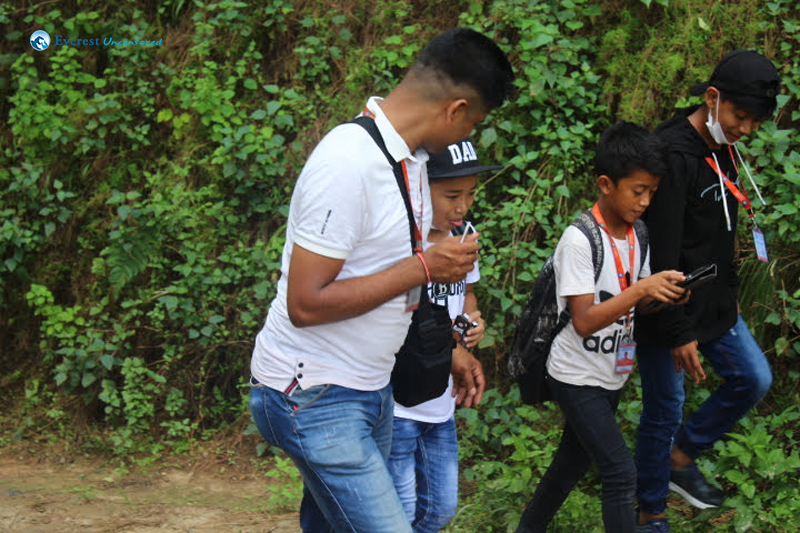 After some time, we forgot the way to Gokarna and then Mr. Nirmal Paudel started to lead the line. 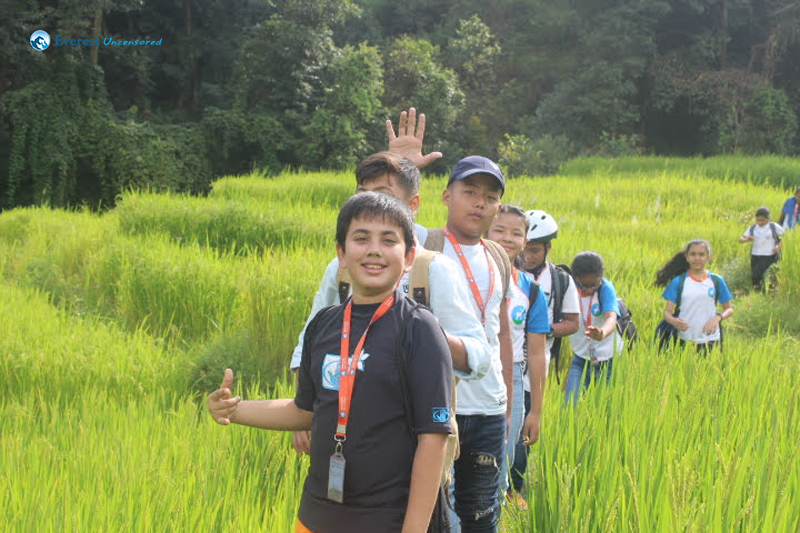 We followed him and he took us a trail across the paddy field. 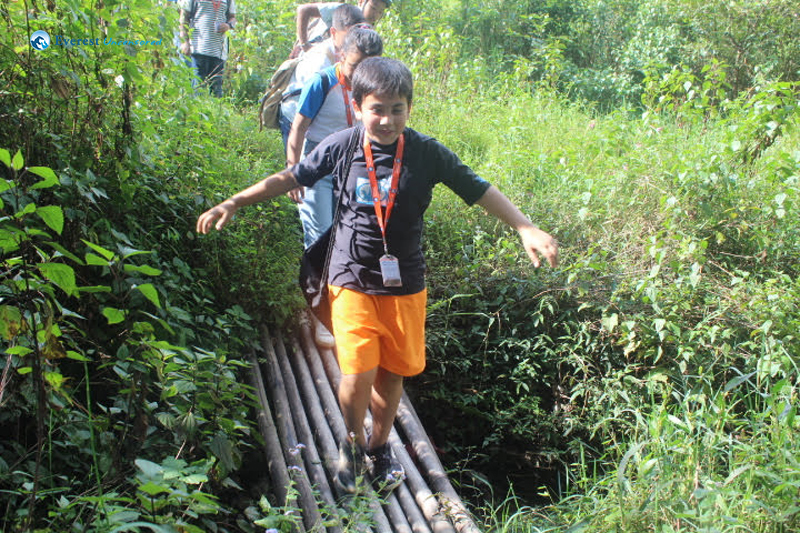 Pranjal fell down in the trail and I helped him to get up. As I talked about it to Mr. Kuldeep Gupta, he told me that I could also fall down. 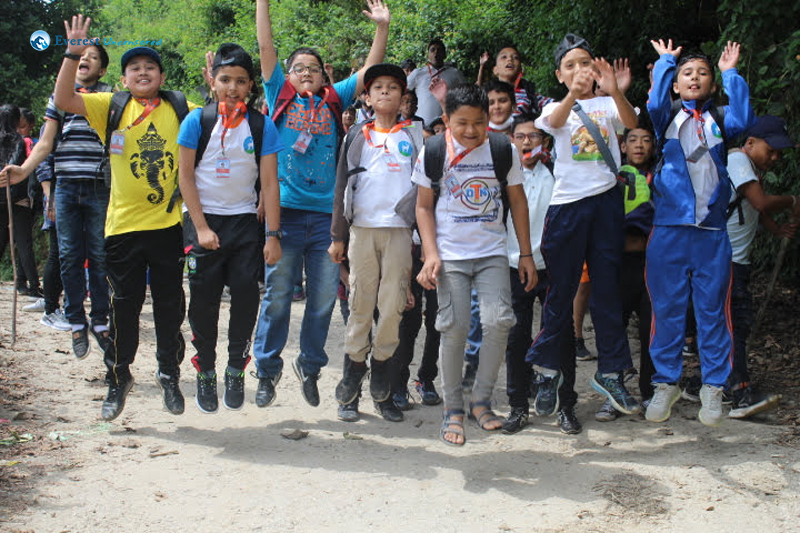 Then in the way, Pranjal fell down again. Then Prasanna and I fell down. In a tap of a house we cleaned our trousers. Then we all started to walk fast to reach to Gokarna. 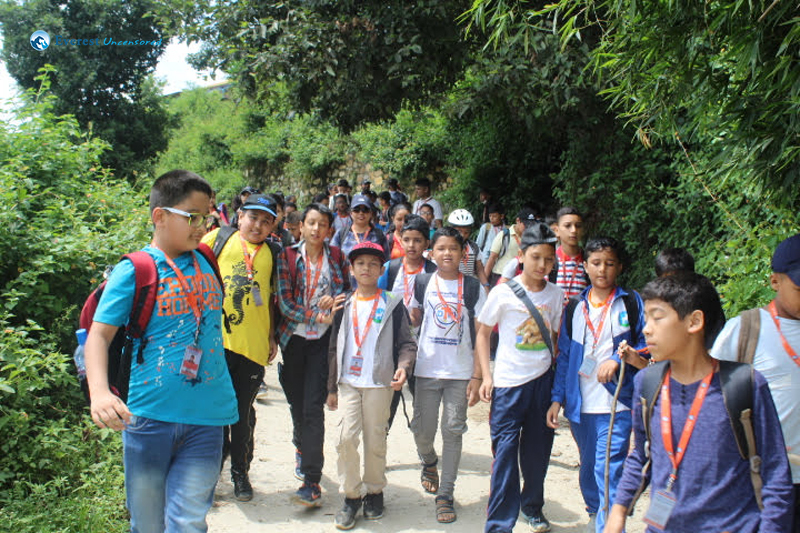 Mr. Nirmal Paudel and some boys were ahead of us. 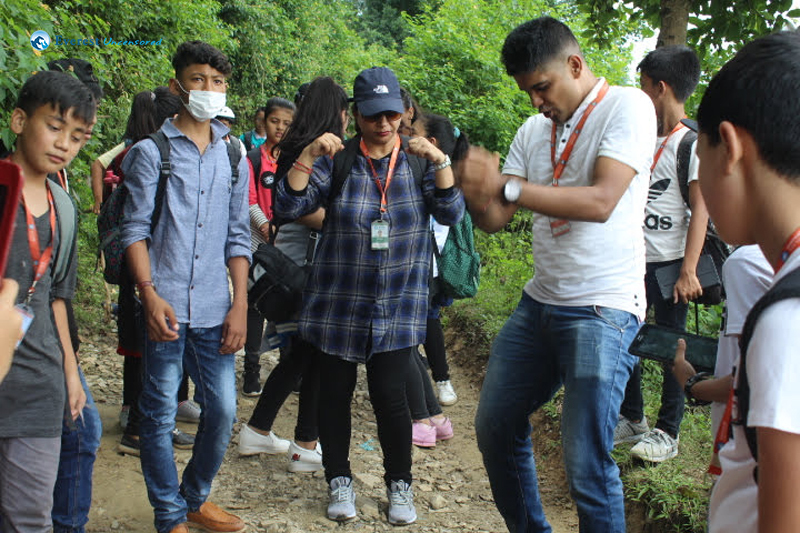 While we were returning to the bus we sang songs and talked about Pranjal falling. It was very memorable hiking. 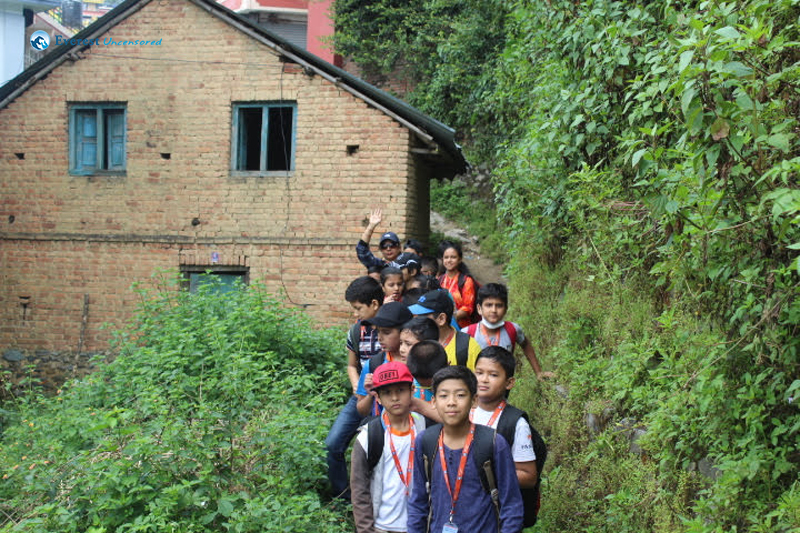 We departed from school to Kapan Gumba at 9:45 AM. Kapan Gumba is a very beautiful place. 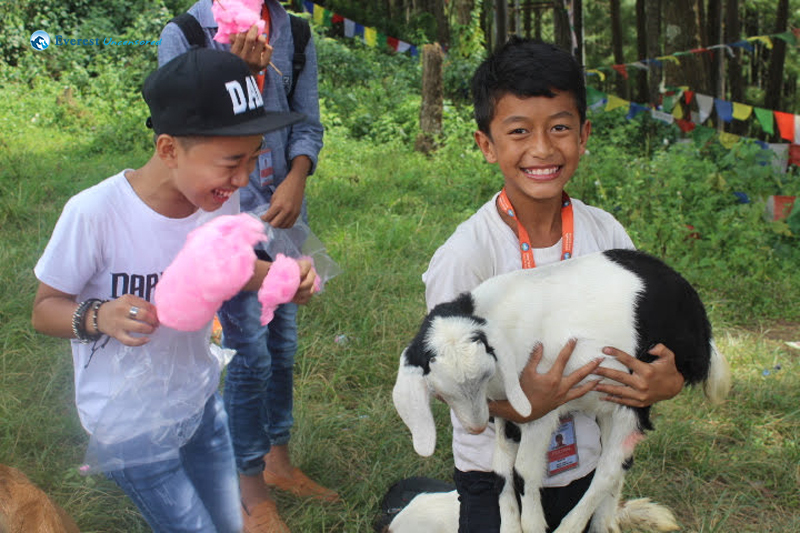 We took some pictures at Kapan Gumba. Then we started the hike. The day was very hot. We used umbrella while we hiked. 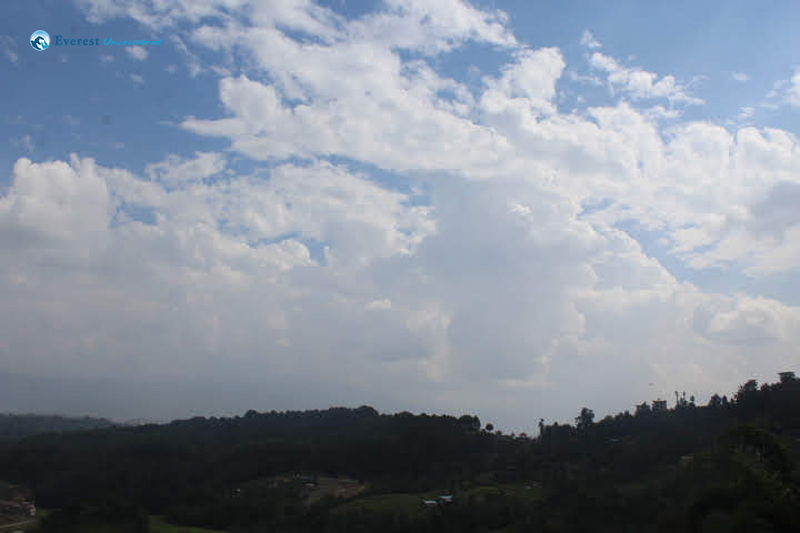 Jagdol was very far from Kapan Gumba, it took us two hours to reach. We took a rest for one hour at Jagdol. 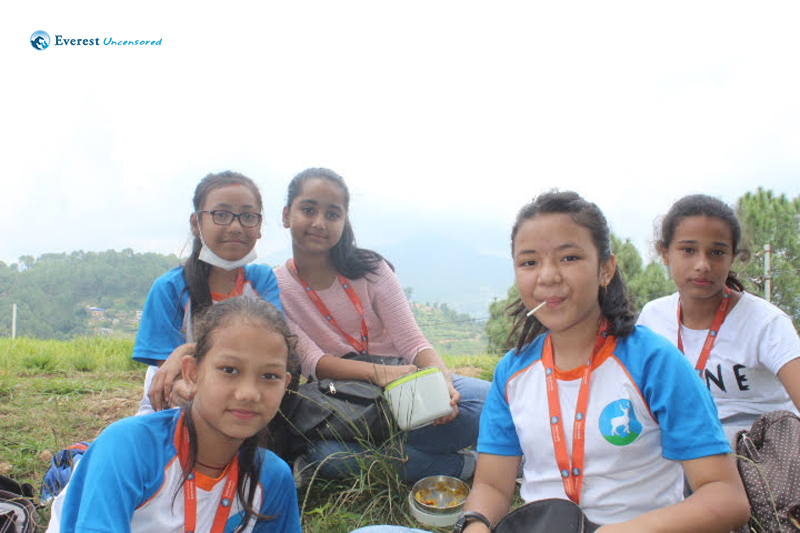 At Jagdol we had our lunch, clicked photos and enjoyed the scenery a lot. We played mobile games as well. Then we moved from Jagdol to Fulari Gumba. Fulari Gumba was not that far from Gagdol. I think it took 20 minutes to reach Fulari Gumba from Jagdol. Fulari Gumba was an extremely beautiful place. The Gumba looked like a palace; it was that big. The paintings were incredible, which were drawn in ceilings, walls, etc. It was a peaceful place. There were so many flowers which reflected the beauty of the Gumba. 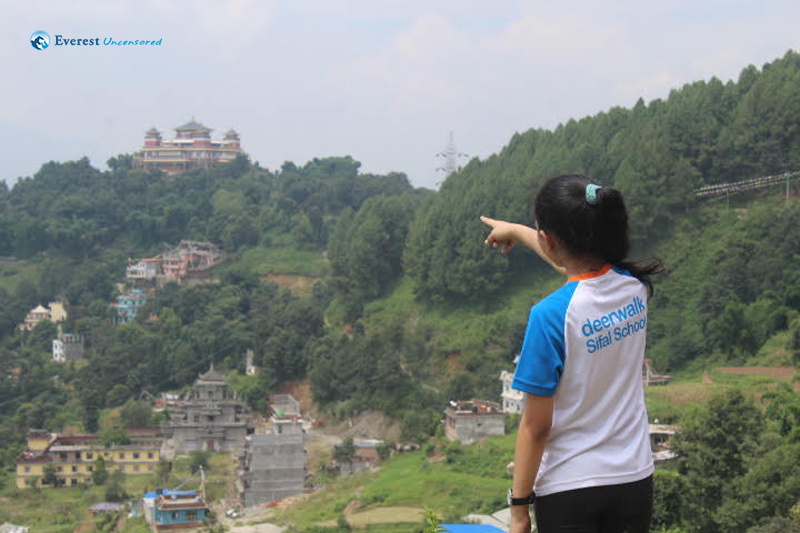 Seeing it I realized why Nepal is famous for tourism. Then our last destination was Gokarna. The bus was waiting for us there. We reached Gokarna later than we supposed. We took the shortest way but still it seemed to be long. And the hot weather made the walking more difficult. I bought two bottles of cold water but it got empty in two minutes as eight men drank. After we reached to the bus stop, I was liked finally we have reached. 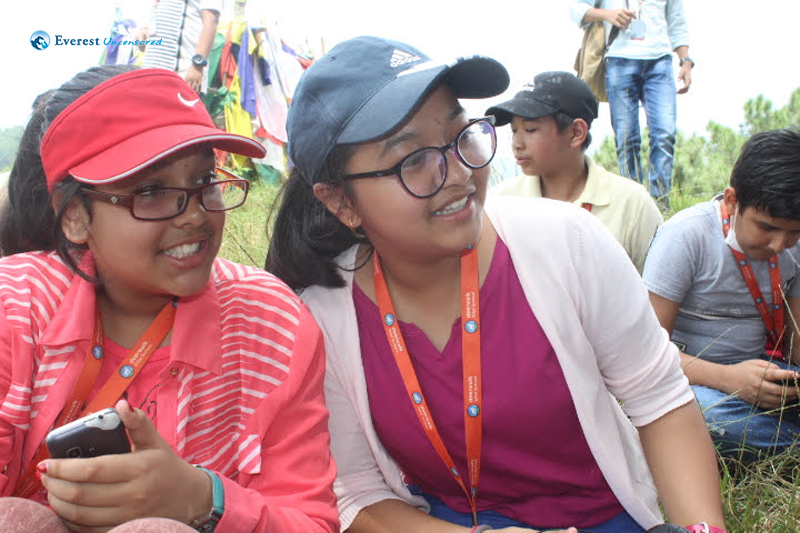 Only we, seven students and Mr. Nirmal Paudel made it till there that fast. In the bus we had fun playing mobile games and listening to music. Around 4:15 PM we reached school, had snacks and went home. 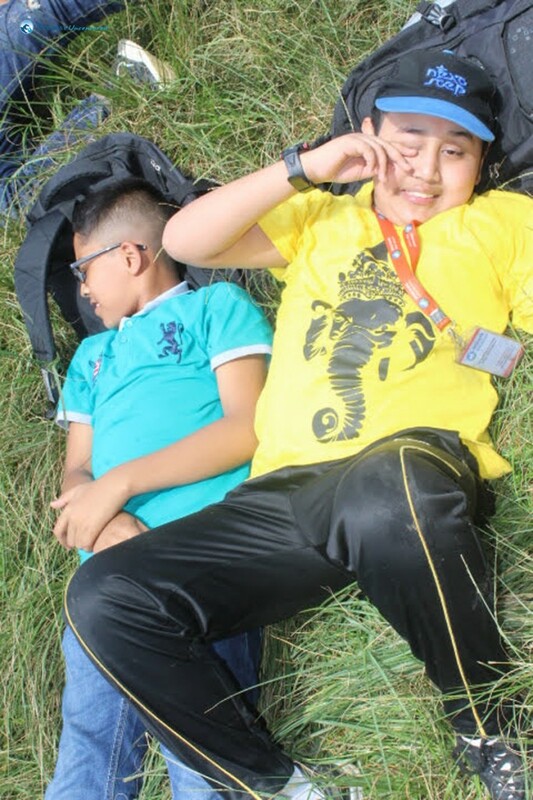 In overall, the hiking was tiring but yet fun.